The Timberline High School track and field record book is loaded with high-profile athletes. 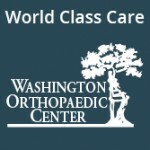 The impressive list features such standouts as current New York Giants running back Jonathan Stewart and LaShonda Christopher, a multiple-time All-American in both the long and triple jump at the University of North Carolina. But only one individual’s name appears four times in the school record book – Makenna Hansen. Three years ago the only time Hansen would step on the track was when she was walking across it to get to the soccer field. Hansen will tell you she was a runner back then, albeit chasing after a soccer ball. Turning out for track was never considered. With a “ho-hum, I’ll give it a go” attitude, Hansen proved she was, in fact, a track star who just happened to never give track a try before. A year later and it was no longer a mystery who Hansen was. Not after she broke the school records in both the 100 and 200 meters, in addition to helping the girls 4×100 and 4×200 relay teams enter the record book as well. And especially not after her performance at last year’s Class 3A state meet when she finished fifth in the 100 with a time of 12.47 seconds and third in the 200 when she stopped the clock in a personal record time of 25.31. If that wasn’t enough she made a third trip to the podium at state in 2017 after she teamed with Rachel Izuagbe, Ashley Babkirk and Keshara Romain to collect a fourth-place finish in the 4×200 relay. 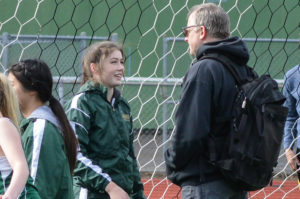 It was quite a different scenario when she arrived on the Timberline track scene her sophomore season. Just get out of the blocks was all Hansen was thinking about when she ran the 200 for the first time as a sophomore. She wasn’t worried about times and she certainly wasn’t thinking about where she would finish. Just successfully get out of the blocks was the main goal. She did that and more as won the race by a sizeable margin. It was a win that not only opened the eyes of her coaches, but her as well. The next season is when the records started to fall. 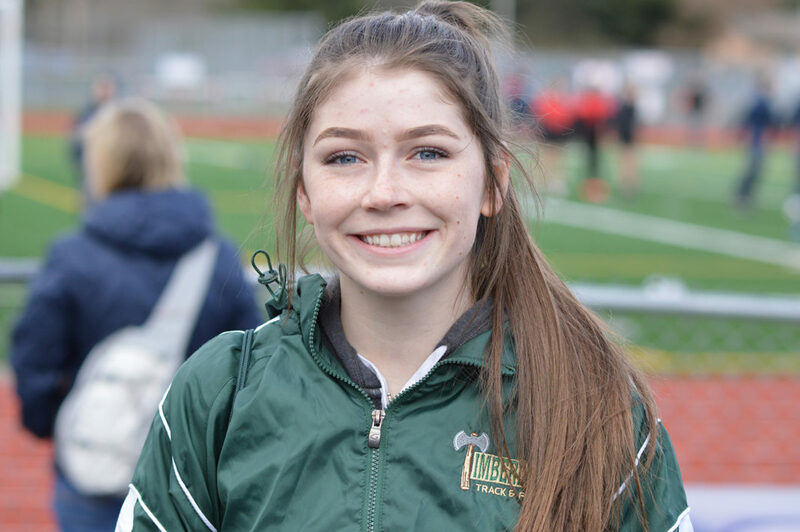 She dominated the 100 and 200 during the regular season and finished third in the 200 at the prestigious NIKE Eason Invitational in Snohomish. Now with two full seasons under her belt and a better overall understanding of the sport expect Hansen to re-write the Timberline record book a couple more times in those events this season, while challenging for a handful of state titles. 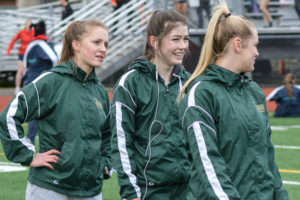 The Blazers should also have a legitimate shot at winning state crowns in both the girls 4×100 and 4×200 relays as Timberline welcomes all four runners back from last year’s team, a luxury few programs can claim. If that wasn’t enough, Hansen has also set her sights on competing in the 400, an event she only ran once last year. The Timberline record in the 400 of 56.7 seconds was set by Sharon Wilson in 1986, making it the third oldest school record on the girls side. Could Hansen hold school records in five events? Her coach doesn’t see why not.